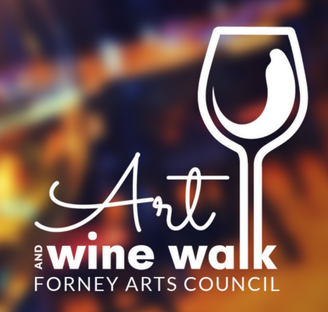 The Forney Arts Council is a young vibrant non-profit organization dedicated to facilitating opportunities for local artists, while increasing the awareness of the arts in the community. We are young and old; artists and admirers; new and long-time residents of Forney. We envision an expanded Arts Center for the arts adding to Forney’s already vibrant and burgeoning downtown. The Forney Arts Council has several community programs designed to fulfill its mission. Features artisan-made crafts and fresh locally grown products every 2nd & 4th Saturday in Downtown Forney. Singer/Songwriter House Concerts held at the Historic Spellman Home in Downtown Forney. Themed week long art camps held in June & July for Children Ages 6-12. Rotating art shows by FAC member artists hosted at local businesses including Crumbzz European Bistro, American National Bank, Independence Title, Forney Eye Associates and Baylor Scott & White Imaging Center. 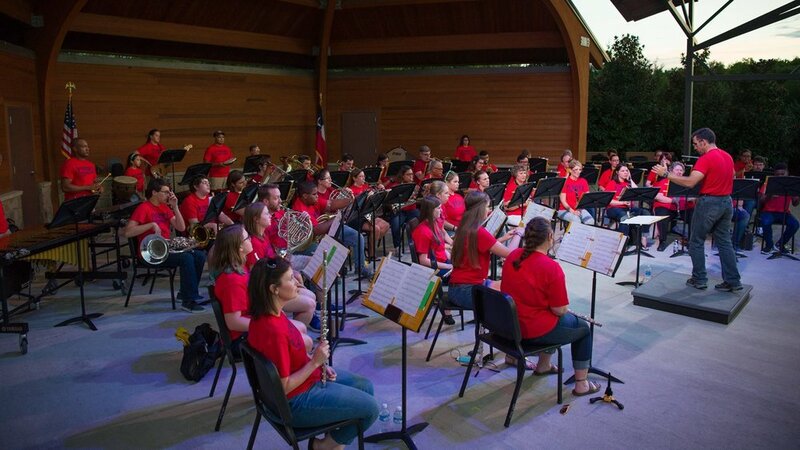 Local area volunteer musicians of all ages come together every summer to perform an evening of free music for the whole family located at the Mick Spellman Amphitheater in the Forney Community Park. The FAC literary committee maintains the Little Free Library located in Xeric Garden (Forney Sub-courthouse), organizes the Teen Short Story & Poetry Contests and Guest Author Speaker Mixers. Quarterly networking mixers for current FAC members held at different locations around Forney. Free activity nights at the local museum with refreshments and occasional giveaways. Coming summer 2018 to Downtown Forney! Established in autumn of 2015, the purpose of the FAC Arts Scholarship is to recognize excellence in the arts and community by a Forney youth in their senior year of high school intent to pursue their passion for the arts in their post-secondary studies. This scholarship is intended to further recipients’ education through use of funds towards tuition in an institution of higher learning. Proceeds from the Annual Masquerade Gala have contributed to the development and creation of several public art installations in our Forney community. FAC in partnership with the City of Forney and Forney ISD bring to you a collection of artworks by artist Coreen Mary Spellman on display at Ellen Brooks West Memorial library. Inspired by our community's historical connection to the railroad, "Forney 75126" is a set of an infused glass railroad tie sculptures representing Forney's past and future growth. In collaboration with the FDBA, FAC is commissioning a muralist to create a one of a kind, interactive, vibrant piece of work that will draw locals, tourists and art enthusiasts to the Downtown Forney area.